R. Gregg Hovious is a civil trial lawyer. He has tried many jury and bench trials, arbitrated several cases to conclusion, and conducted numerous evidentiary hearings in civil and administrative settings. His experience also includes involvement with hundreds of depositions and successful mediations. When Mr. Hovious first began training to become a trial lawyer, he worked in the insurance defense and healthcare litigation sections of a large Louisville firm, where he obtained significant trial experience in the first few years of his practice. He tried or assisted in the trial of a wrongful death case, a tractor trailer/pedestrian personal injury case, a go-cart/products liability case, a construction dispute, and various certificate of need matters before the Kentucky Cabinet of Health Services. Mr. Hovious next worked in that firm’s corporate and commercial litigation group, focusing on the representation of banks and lender liability actions, contract disputes and corporate takeover and freeze-out merger litigation. 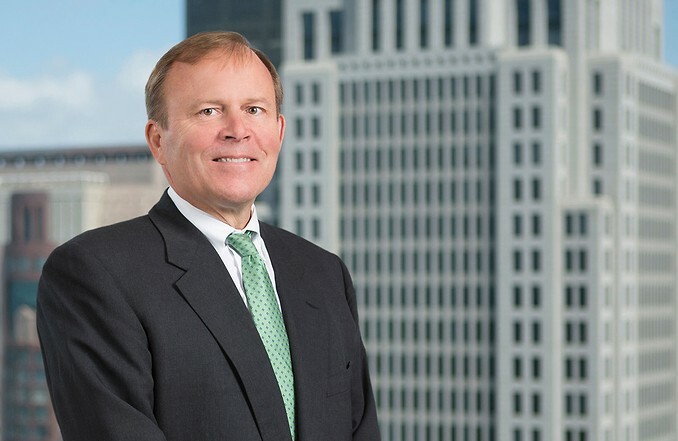 He also gained significant experience representing both plaintiffs and defendants in ERISA, securities fraud and construction law litigation. After helping found the law firm of Fultz, Maddox, Hovious and Dickens, Mr. Hovious focused his practice on commercial litigation. He has represented both plaintiffs and defendants in contract, shareholder, ERISA, banking and healthcare disputes. For example, he obtained a favorable settlement for a Fortune 100 bank client in lender liability litigation, and he later was successful in trying a construction law matter, obtaining a jury verdict that pierced the corporate veil and recovered full damages against the owner of the company. Mr. Hovious also represented 40 Kentucky hospitals in a contract dispute in which a large regional health maintenance organization unilaterally tried to change its contract with the hospitals. After nearly two years of intense litigation in state court, the parties reached a multimillion-dollar settlement agreement in favor of the hospitals (Hovious - One Act Play). In 2001, Mr. Hovious arbitrated a contract dispute on behalf of an improperly terminated employee. The arbitrator awarded the firm’s client $900,000, and after discussion of additional jury claims, the case later settled for more than $1.2 million. The arbitration award was for a breach of an employment contract containing a liquidation clause and the additional settlement arose out of extra-contractual damages. Mr. Hovious has also negotiated a significant monetary settlement on behalf of a local company that learned that two ex-employees had developed a significant product while employed by the company but took that product for their own use and benefit. After he meticulously gathered evidence from telephone records and electronic correspondence during discovery, he proved that the ex-employees had testified falsely about their efforts and the case settled on the eve of trial. Other significant commercial settlements include a $550,000 settlement against an insurer arising out of the destruction of the clients’ warehoused goods in Saigon, a $500,000 contract case involving the sale of environmentally unsound real estate, and several injunction hearings involving employees’ covenants not to compete and fiduciary duties. Mr. Hovious’ community activities have included serving as the president of the Crescent Hill Community Counsel, member of the Friends of the Louisville Zoo, and an ardent supporter of Ducks Unlimited. He enjoys hunting and fishing with his children at his family’s farm in Edmonson County, Kentucky on the weekends.